Las Vegas went on to lose to the Dream 109-100, giving them two losses on the day. The team, which fell 2½ games behind Dallas for the final playoff spot, didn’t really want to talk about the league’s decision after the game. 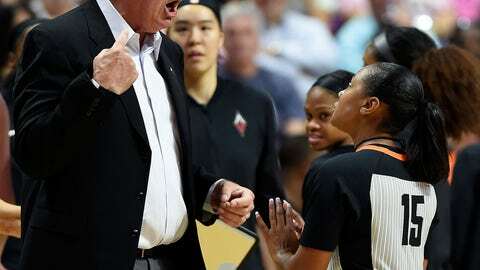 Atlanta coach Nicki Collen had a feeling the Aces would play with a lot of energy hours after the decision.